12 inch high quality fuchsia hot pink helium quality latex balloons. 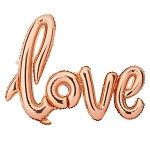 These colorful latex balloons are perfect for parties, events, anniversaries, weddings, or any type of event where you need to top quality helium latex balloons. 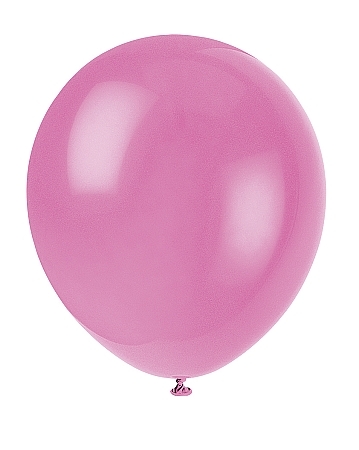 Our fuchsia hot pink latex balloons have a slight tear drop shape and are helium quality. In addition to this fuchsia hot pink color bag, we have over 20 solid color bags available in both a 144 count and a 15 count. 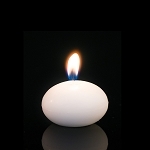 Most of our balloons are available in both 12 inch size and 5 inch size. 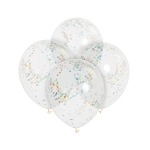 We also have a good selection of 36 inch balloons. The colors are vibrant and true. Don't forget to grab some curling ribbons for these latex balloons. 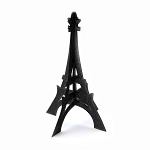 They will also match-up nicely with our tablecloths and tableware.